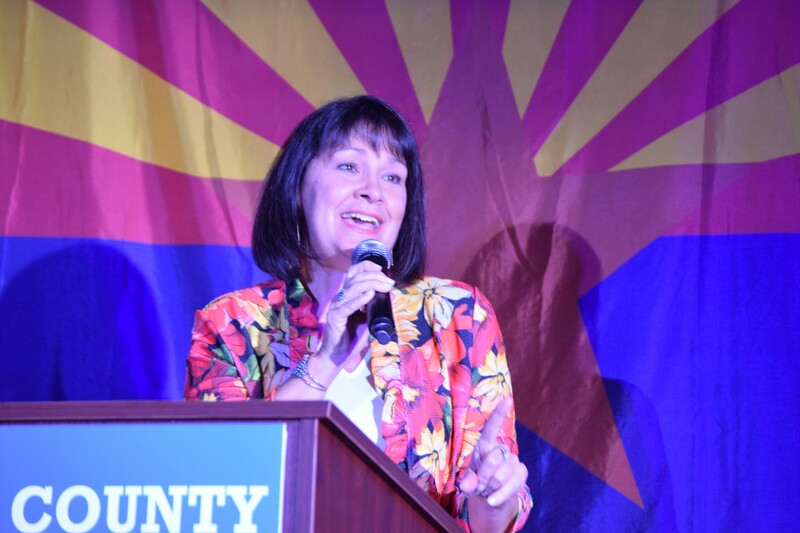 Victoria Steele speaking at the Pima County Democrats election party right after finding out she won the primary by a landslide. Victoria Steele was declared the winner of the LD 9 Senate race, winning over her opponent Jim Love with over 82 percent of the vote. She said the last time she was in this room, at Brother John's where the Pima County Democrats are holding their election party, she lost. And since that experience, she was not going to take this race for granted. "I'm going to work my heart out for the people of LD 9, whether they voted for me or not" she said. Running unopposed in the general except for a possible write-in candidate, she said she'll work to protect women's reproductive health, pass an Equal Right Amendment and implement a water policy with a contingency plan. She feels hopeful the Democrats will take back the state House for the first time in over four decades. "I'm tired of playing defensive," she said. "We're going to lead."